Halsey stop, brace yourself for the arrival of a yuppie heaven. If you rejoiced over the recent news of Bond Bushwick and The Breeze coming to the neighborhood, then you’ll be tickled to know that yet another gargantuan commercial space is opening up. The Box Factory, a 63,000-square-foot property on the Bushwick-Ridgewood border, is so big that the real estate company which owns it has called the neighborhood "Ridgewick. "(Even their domain name is ridgewick.nyc.) Newcomers renaming neighborhoods haven't been historically met with too much enthusiasm, so we wish them luck with this one. The $10 million project to transform a warehouse at 1519 Decatur St. near the Halsey L train stop involved several big players in the real estate game. Hornig Capital Partners (HCP) and Brickman Real Estate developed the space; Fogarty Finger Architecture designed it; ABS Partners Real Estate is leasing the offices; Ripco Realty is leasing the retail space. 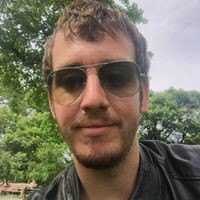 Combined, these companies are valued at well over $1 billion; HCP alone has $1 billion worth of property and development contracts. 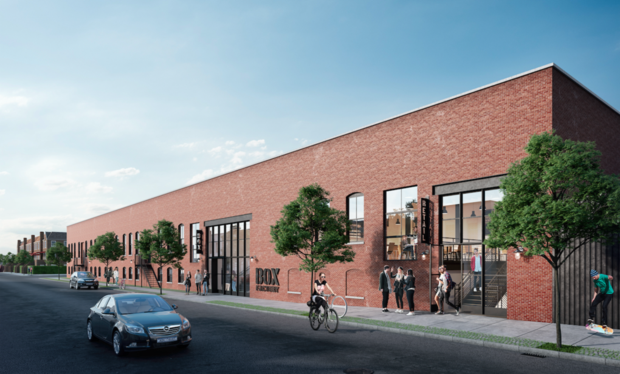 On the metaphysical level, Ben Waller, managing director at ABS Partners, hopes his company’s foray into “Ridgewick” with The Box Factory will harness the spirit of the neighborhood and give those office spaces a creative kick. 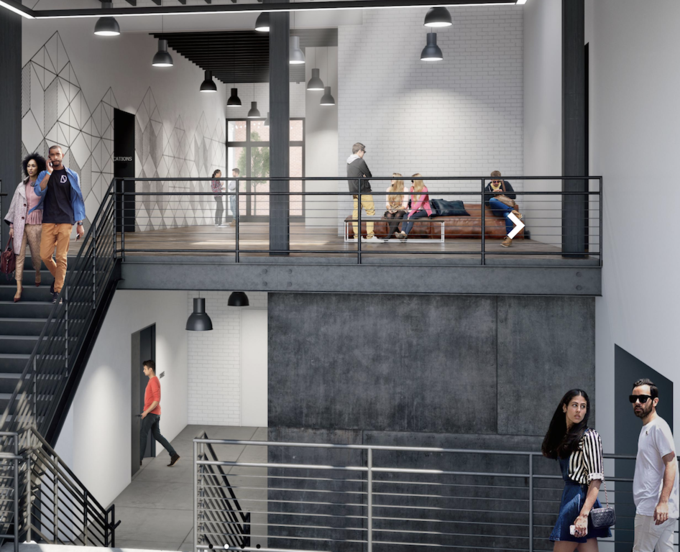 “The look and feel of the Box Factory will stand out in the market because it brings the creative, artistic energy of Ridgewood and Bushwick to each office space,” Waller told Bushwick Daily. Waller says that in addition to inspired office spaces, The Box Factory will also naturally draw in Bushwick and Ridgewood’s creative types. The question is: Are there enough of Bushwick and Ridgewood creative types to occupy all the office spaces? “Companies operating in the media, television and film industries will find that the property naturally aligns with their business visions and is ideally located for their employees and consultants who live nearby,” Waller said. The images above certainly reflect a vision--but we're not sure whether it's one that "naturally aligns" with the realities of the Halsey Street experience in Bushwick, a neighborhood where 30 percent of residents fall below the poverty line and 55 percent are burdened by rent, according to a recent community health profile. Yes, there may be chic-looking people talking on phones and wearing cool shades, but will they be found in the grey stairwells of The Box Factory? Or will they be found doing this? The Box Factory will court local residents, potential tenants, businesses owners, and more at their open house on Nov. 9.